Unless it meets these criteria, it's not an edge data center – it's just a data center in a tier-2 market. The explosion of the cloud and internet-based content has created the need to move the internet's "edge," closer to where the users are. Historically, the "edge" had been limited to tier-1 cities, such as New York, Chicago, and Los Angeles. If a user in a tier-2 city, such as St. Paul, wanted to access internet-based content, the data would actually come from the closest edge location, in this case Chicago. If the user is just doing general browsing, it's hard to notice whether you're near or far from the edge. However, for any kind of mission-critical or real-time traffic like video, cloud-based applications, or gaming, the extra latency can significantly degrade performance and increase security risks. Because of this trend, more and more data center and co-location providers have been trying to beef up their "expanded edge" story. One such example is vXchnge's announced acquisition of eight Sungard facilities to extend its reach. In the vXchnge announcement, the company states that the move "accelerates our strategic presence in edge-based market places for companies to grow their businesses." While vXchnge isn't explicitly saying the newly acquired data centers expands its edge story, it certainly implies it. I've also read a couple of news articles that positioned the new data centers as giving vXchnge an expanded edge footprint. The expanded edge is when the content moves closer to the user, which doesn't happen merely with the existence of a data center. So in the case of vXchnge, the potential is there for the company to use the data centers to expand its edge footprint, but right now it just has a collection of data centers in tier-2 markets. The misinformation in some of the articles I read, such as this one in Data Center Knowledge, made me consider how the edge should be defined. Here are some key criteria. If the services in the data center or at the exchange point don't reach at least half of the people in the area, then it can't be considered part of the "edge." Rather, it's just a small point of presence for a niche service. Shifting the edge is moving the content closer to the user. If the provider isn't serving up at least three quarters of the content, cloud services, or gaming sites, then it's missing too big a percentage of the internet to be considered an edge. It's merely a long distance on-ramp to the internet. This is critical for high-bandwidth applications where distance kills. Using the previous example, St. Paul would become its own local peering point instead of having to pull the internet traffic from Chicago. If the edge has indeed shifted, then the service provider should be able to offer much better performance at a lower cost. In today's world, the true measure of any internet provider is the ability to deliver a high-quality media experience. This can only be done when the content is close to the user. As an example, Phoenix was a city that at one point could only be served with SD video due to its dependence on content from Los Angeles. When EdgeConneX, an aggressive service provider when it comes to expanding the edge, began to serve that market, the users were served HD video from the content providers due to the local proximity. The close proximity to the peering points and content gives a greater ability to isolate the network from DDoS attacks. This should be of great benefit for organizations looking to use the service provider to serve up cloud services like Microsoft Azure or Amazon Web Services. Not all data centers are built the same, as there are four tiers that define the uptime of the data center. A tier-3 data center guarantees 99.982% uptime. This level of uptime plus redundant power and links are required to be part of the internet edge. Also, being tier 3 will more than meet the needs of the community at large, but also meets the requirements of cable operators. They say a rose is a rose by any other name. However, an edge isn't always an edge, even if it's named that way. 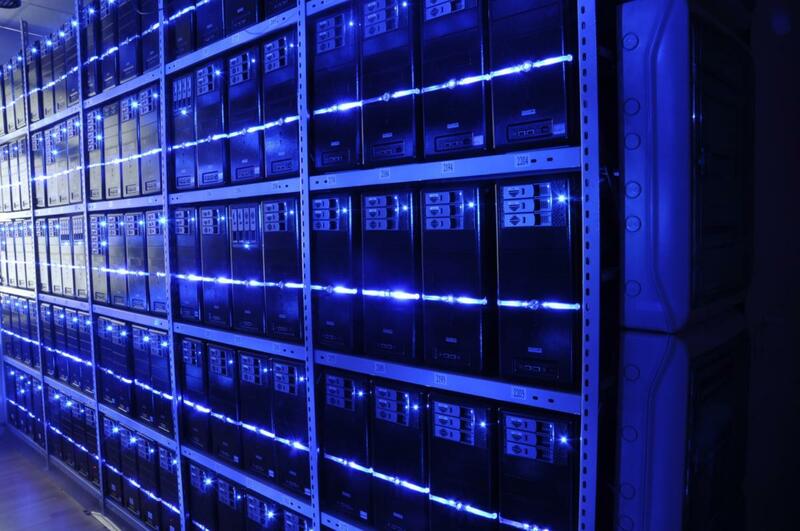 If it doesn't meet the above qualifications, then it's just a data center in a tier-2 market.